The exhibitors were delighted. “This trade show is simply a must for providers of solids technologies – it has become the leading event for the solids industry,” says Stefan Meyer, Managing Director of REMA TIP TOP West GmbH. 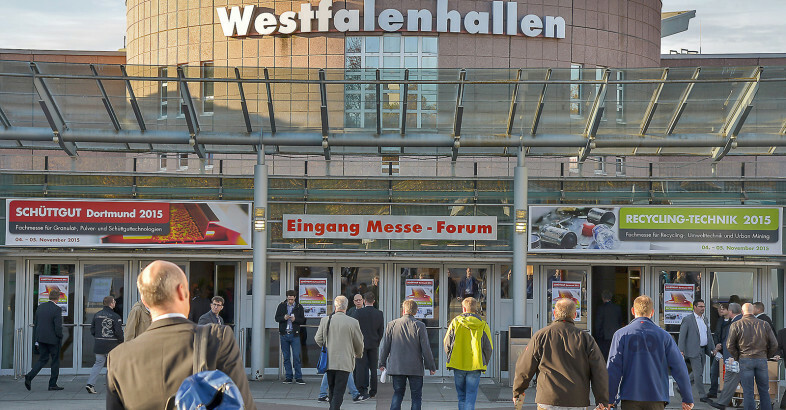 “The positive resonance among the user community confirms the organiser’s claim that Solids Dortmund has established itself as a meeting place for the industry,” continues Meyer. “We are so confident in this show that we signed up as a premium partner in 2017 before this show was even over.” Besides REMA TIP TOP, 170 other companies also reserved stands for the next editions of Solids and Recycling-Technik Dortmund 2017 while still onsite. Thus, 18 months before the next show opens, some 60 percent of the show floor in Halls 4, 5 and 6 is already booked. 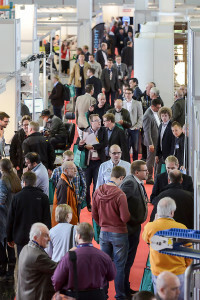 Besides the 362 German suppliers at Solids and Recycling-Technik Dortmund, 88 international companies from 17 different countries – 20 percent of the total number of exhibitors – also saw crowds of visitors at their booths. The evening event at the end of the first show day met with general approval. 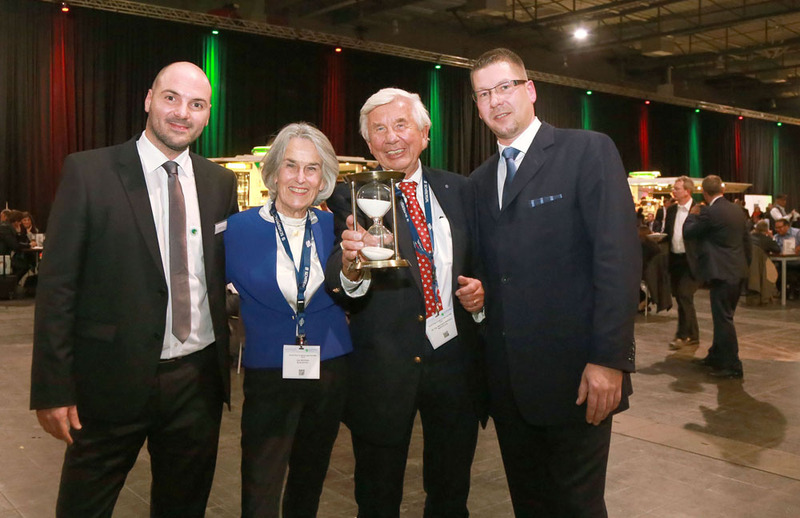 In a relaxed atmosphere with a buffet and live music, all the exhibitors gathered to witness the second SES Awards ceremony in Dortmund. The criteria for winning included the number of visitors invited by the exhibitor and the number of clicks on the exhibitor’s show microsite, as well as the number of products offered there. This year’s winner is FTK Förderband Technik Kilian GmbH from Bottrop. Melanie Kilian accepted the €1,000 prize on behalf of her company. The next SES Award will be bestowed on May 18, 2016 at the upcoming Solids Russia 2016, in St Petersburg. Complementing the shows were 100 lectures held on five stages. With their best-practice cases and technical seminars, the so-called InnovationCenters and SolutionCenters were very popular among the trade professionals. In addition, the guided show tours made it possible for visitors to get a quick, efficient overview of the broad spectrum on offer while simultaneously learning more details about relevant products and equipment. In parallel with the exhibition and lectures, two expert conferences delved into the topics of the trade shows. The 6th URBAN MINING® Congress took place alongside Recycling-Technik, and in parallel with Solids was the 2nd German Fire and Explosion Protection Congress by IND EX®. Both conferences showed an interdisciplinary focus and received high ratings from participants. The conference organisers and Easyfairs therefore plan on continuing with the congresses in the spring of 2017. The next Solids and Recycling-Technik will be held on May 10 and 11, 2017. SOLIDS has established itself as a fixture in the diaries of industry professionals. It has become the most important business and innovation platform for solids technologies, covering the entire value chain of process engineering for solids and powders technologies. On display are machinery and techniques for incoming goods as well as the handling (sieving, filtering, agglomerating, dosing, weighing) and processing (crushing, cooling, heating, milling, mixing, disaggregating) of solid goods, through to in-house mechanical or pneumatic conveyance and procedures for filling, packing, storage, transport and shipment. Solids technologies are important to such diverse industries as food and drinks, chemicals, pharmaceuticals, cosmetics, plastics, metals, logistics, agriculture, construction and mining. Topic specialists and procurement professionals will find machinery, components and complete solution systems. Since its successful premiere in 2012, this upcoming show will be the fourth edition of RECYCLING-TECHNIK Dortmund. At the last exhibition, 200 suppliers presented solutions from the entire spectrum of recycling technologies. The main thrust of the show is machinery and technical components for reclamation and environmentally-responsible disposal, especially: balers, shredding machines, sorting systems and crushers; sieving and separating machines; and conveyor systems. The solutions are designed for recycling organisations, recycling depots and disposal companies as well as for enterprises with in-house recycling facilities from the plastics, food processing, metal and construction industries, logistics, agriculture, chemicals and pharmaceuticals. 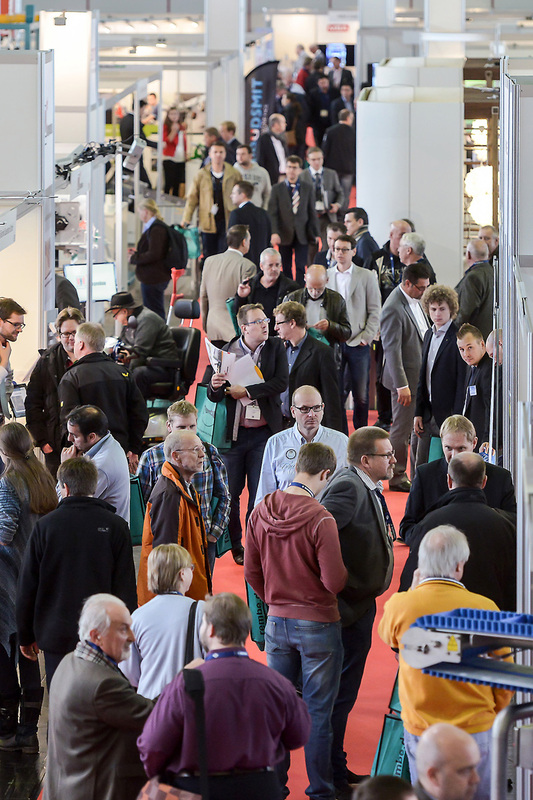 Newly opened just for RECYCLING-TECHNIK 2015, Hall 7 made it easier for trade visitors to find the technical solutions and product innovations they were looking for. The two shows are co-located. At the previous edition, on 4 & 5 November 2015, 450 exhibitors and 6,561 visitors took part.